We have an integrated approach in providing services related to environmental monitoring. Our activity spans from chemical analyses, in situ measurements and satellite image processing to acoustic seabed classification for habitat mapping. Mapping benthic habitats is necessary for the implementation of a balanced approach on ecosystems in the management of marine protected areas. It is focused on monitoring and identifying the marine ecosystems by shaping the geometry and distribution of the habitats and building up a complete map of the seafloor to pinpoint the location and extent of distinct neighboring habitats. 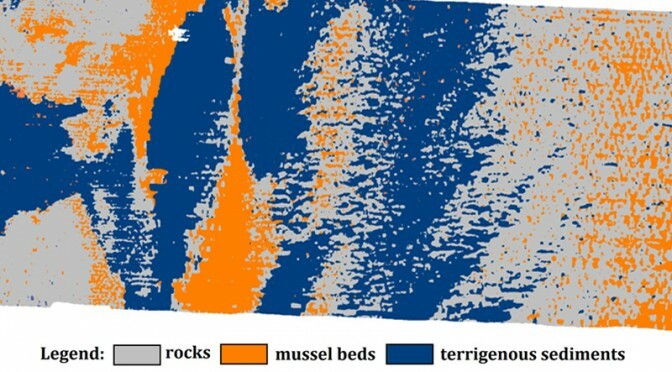 We follow a combined multidisciplinary methodology for mapping coastal habitats, initially implying the mapping of acoustic facies of the seafloor, associating the acoustic facies with lithological ones and correlating information concerning the environment with spot observations on biological features. We scan the areas of interest using sonars and based on the backscatter properties we create a map of acoustic facies distribution. Ground truthing is necessary in order to confirm the lithology of acoustic classes. 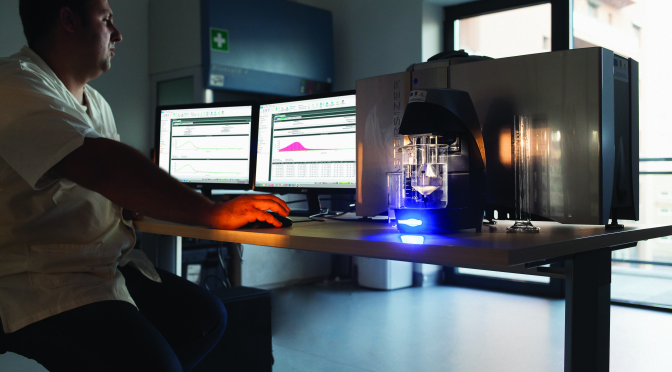 The samples are first visually described in the field and then analyzed in the laboratory, with a laser grain-sizer to define different classes of detritic sediments. The discrete information obtained is extrapolated at site scale using the distribution of the acoustic facies identified on sonograms. Sampling is the first step to obtain material for laboratory analyses. We have specialized CTD rosettes, Niskin bottles, van Veen grabs, sediment corers and the like. We follow strict methodologies for taking samples and tracking them throughout the following procedures for making them ready for analyses. The ROV is an underwater vehicle remote controlled from the surface. It can do the work of a diver with fewer risks. 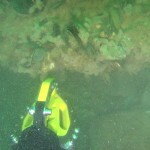 The main use is the video inspection of the seafloor or of underwater structures such as pipes, wrecks or ship hulls. For environmental purposes, our ROV is able to carry H2S and CH4 sensors. These sensors are useful for identifying and monitoring of hydrocarbon leaks, cold seeps and underwater vents. The ROV’s arm is capable of maneuvering objects or cutting ropes and small cables. 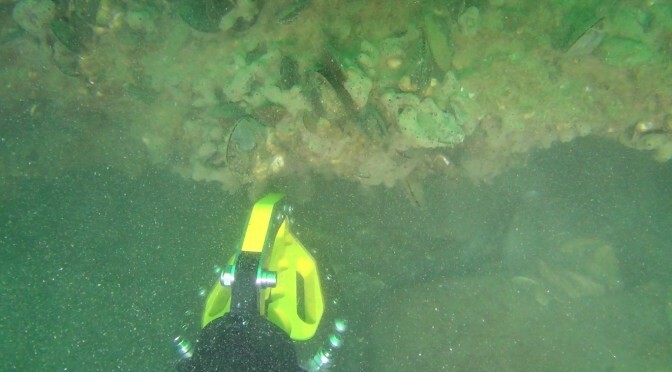 The USBL positioning helps in creating a good picture of the location of submerged objects of interest. Our services of Satellite Water Quality Monitoring aim to measure different characteristics such as turbidity, suspended matter, chlorophyll or harmful algae blooms using a variety of sensors. These water characteristics can be observed in a wide range of time and spatial resolution being optimized for users needs. The key benefits of the method are: non invasive measurements with no further negative impact on environment, the possibility to be combined with traditional in-situ monitoring data of aquatic ecosystems and a wide data base to provide a full image of changes in time. In areas with rapid shoreline evolution, satellite imagery helps in monitoring the coastal line changes and concentration of suspended sediment load, shallow water bathymetry, as well as to provide benthos maps. This kind of analysis needs to be repeated periodically and satellite images have a huge role in evaluating the effects and changes over time. All our AUVs are equipped with DVLs with ADCP. They gather data about how fast the water is moving bellow the AUV as a succession of cells on a profile. By surveying on adjacent profile lines, a good 3D image of the current distribution can be obtained. Current profiling is necessary for water discharge computation in rivers and canals and for current distribution mapping in open sea. Current data is an important input for the hydrodynamical modeling of the water flow and of sediment transport and deposition. The grain-size, also known as particle size, is a basic parameter that refers to the size distribution of the sedimentary individual grains. The method applies to unconsolidated sediments and relies on analyzing the light scattering from the fringe at the contact with a small sized particle, following Fraunhofer or Mie theories. The sedimentary detritic material can range from very coarse particles, such as boulders, cobbles and pebbles to colloidal particles such as clay minerals. We follow a strict methodology of sample preparation which includes chemical treatment for removing organic matter in sediments and dispersion of flocculated colloidal particles. The laser analyzer is capable to measure in a range of 2 μm to 3 mm particle size. The result is the division of sediment volume in sediment size classes that can be interpreted using grain-size parameters, histograms or cumulative curves. Surveying for hydrocarbon emissions helps in monitoring of pollution and underwater pipes for hydrocarbon transport. Our Spyglass Underwater Mass Spectrometer can identify hydrocarbon types and the Franatech METS Methane Sensor is a good choice for the detection and measuring of content that is sensitive up to even 10 nM. 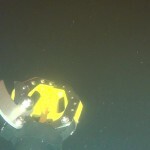 The sensors can be deployed from the deck, mounted on ROV or self contained.